Hello everyone. Just a quick update on what's going on. If you remember back towards the end of 2015, I announced that I would be working on a new music project (based on old material) called The Swede Legacy (or Swede for short), and n-Somnia was put into hiatus mode as a result of this. The plan was to mark roughly 20 years since Forbes and I were at our peak with the writing phase for a large percentage of the project's songs. Sadly, that anniversary has already passed and no albums have been made yet. In fact, life's been so hectic lately that I haven't even been able to start the first of the 5 albums in total. It's a tough decision, but based on how long it's taking and how much is going on in the background, slowing us down, I have decided that Swede will be more likely to happen on the 25th anniversary of the glory days of songwriting. This means that, unfortunately, there won't be any albums until at least 2021. I apologise for this. It's just as frustrating at my end. What will happen instead is that I will be putting my primary focus on everything that's getting in our way when it comes to our projects, solo or otherwise. This means that despite there being no Swede for a while, n-Somnia will still remain in hiatus for a bit. If I feel like producing a song or 2, I will. But until then, I plan only to iron out the issues that are stalling production. Issues that are partly the reason I don't blog nearly as much as I used to. If you don't see a blog update on here for a while, don't panic! We're still alive! If you wish to keep up with our updates more regularly, go on Facebook and 'like' our pages (you can find them on the Links page) if you haven't done already. Also, follow our Twitter pages too. Will keep you posted when there's something to report. Stay safe, kids! I present to you the Morph Quicksilver by V Energy Drink. A beverage that has a rather unique feature. Probably the first I've seen since Orbitz (remember that one?). To be honest, I was hesitating having this drink. It's partially because my dear wife, Aliesha, raised an interesting point - "Would you want that stuff swirling around your stomach?" Well, considering half the stuff we consume in this day and age, it's a good question. But I couldn't help but wonder what the flavour was like. So today, the curiosity won the battle. I bought my first bottle of the strange new brew. The first mouthful = wasn't that impressed. This may sound a little weird coming from an energy drink review, but I compare the initial taste to a sip of wine. Yes, you read that correctly. By the way, I absolutely hate wine. The flavour's not that great, and it always leaves a horrible aftertaste in my mouth. A similar experience was had in the first sip of this drink. For a moment, I wasn't sure if I wanted to finish it. After the off-putting experience of what seemed to be mimicking wine, I found myself tasting...passionfruit??? I was so confused! What kind of drink has a wine aftertaste BEFORE the good aftertaste??? If someone can hold onto a bottle of Orbitz since they bought it in the 90's, then sell it on eBay for a more-than-retail price, then who's to say that I can't do the same with this one in 10+ years time? I personally don't think this drink will be around forever, so think of it as a future investment. That's pretty much all I can say about this drink. Out of 10, I'd give it about a 4 or 5. In "Trying Stuff" terms, about Half a Thumb or One Thumb Up. If you're curious about it, go ahead and grab one while it lasts. But it's not one I'd recommend if you're easily confused. Ladies and gentlemen, boys and girls, cats and dogs, living together, mass hysteria! I am pleased to announce that our new Dailymotion channel now FINALLY contains all the videos from our archive! It's taken a few weeks now, but we finally made it. Our migration from our YouTube channel is now complete. Of course, there are still a few of our videos on YouTube, but the complete collection is not. There are, however, some exceptions where YouTube can be handy, where Dailymotion couldn't deliver. For example, you can't upload videos more than 60 minutes in length there. Which is why videos like "Expressions Talent Scan 1998" is only on YouTube. Also, another movie-length film (which was actually made by me) called "Pilgrim" can be found on Veoh.com. All videos, regardless what site they're on, have been embedded here on this website. You may not see it yet, as the site is still going through its makeover stage. As soon as this is complete, you will be informed. Not much has been done about this because of the video editing/uploading. But now that this is out of the way, we can now focus on the final stages of this site's new layout! More to come in the near future. Check out the Dailymotion and Veoh channels at the link buttons below. Hello everyone! Just a quick blog update here to keep you in the loop. If any of you are following our SDP page on Facebook, you may have noticed quite a bit of activity from us over the past month or so. This is because our migration from YouTube to Dailymotion is under way and has seen a heck of a lot of our archived videos appearing there. Not everything is uploaded just yet, but there is more than enough material to keep you busy in the meantime as more arrive. "Comic Wit" and related videos - This includes the full length film, a deleted scene, the trailer, and the commentary version of the unedited film. "Trying Stuff" and related videos - There are 2 playlists for this series, one for each season. Every episode we've made from the beginning right up to the last one we filmed (which was some time ago now) can now be found in one place! There are plans for 1 or 2 more episodes of the series before ending it completely. Any future episodes will be added to the Season 2 playlist. "Game Walkthroughs" - The series Forbes and I started in the beginning of 2011, before the earthquakes forced us into hiatus mode. There is only 1 playlist for this (for now), and that's the first episode of the classic id Software game, "Doom". The playlist also includes a 'test run' video. Any future episodes for this series will have new playlists created accordingly. Other videos that are uploaded to Dailymotion include music videos, "Kingrow - A Short Film", and a bunch of random one-off productions. There have also been a couple videos added to our YouTube channel, but mainly to do with the likes of Armageddon Expo, etc. Below are link buttons to our YouTube and Dailymotion channels. Most of our content can/will be found at DM, so make sure you bookmark it in your browser! Or better still, get an account and subscribe (to both, even)! More to come in the near future, I promise! Well, hello there my good people. Hope you had a lovely Christmas this year. It's that time once again - a review of the year that has passed, from a Stuffed Duck Productions point of view. Let's get into it! I announced that there would be a new n-Somnia EP, which would later become "Harbinger", and I also announced a sequel to n-Somnia's first compilation album, which was supposed to be called "n-Somnia 2.0". This would later be renamed to "Singularity", as you should know by now. Gosney released the "Beyond Thy Madness" album and the "Seaman" single. Before these things, I revealed some possible plans for the year to come. However, I can safely say that only a small portion of these plans actually happened, unfortunately. I did a full blog review of the first ever Roxette concert in New Zealand, which I just had to attend. They are partially responsible for most of the things I do on this website after all. Gosney released the "6540" album and the "Swamp" single. Forbes writes his first blog entry of 2015. Unfortunately, this would be the last until December, for reasons I can't explain. You'll need to ask him. I attended the Armageddon Expo for this year, and got the chance to film the Q&A panel for New Zealand actor, Karl Urban. It can be found on YouTube. Gosney released the "Memory" album. The date of the final Gosney release is announced also. n-Somnia's "Harbinger" EP tracklist was revealed. The final Gosney release, "The End Days" is unleashed upon the world, thus ending the project. This month, I announced that I would be appearing on a monthly basis on Plains FM in Christchurch for my radio show, "Forgotten Favourites". It was all about the radio show this month. I made my debut on the 30th and it went rather well. I announced that I will be retiring the video series, "Trying Stuff", but not until after 2 specific episodes have taken place. These episodes are still yet to be filmed. However, one "Trying Stuff" episode was released this month. It was filmed during Christmas 2014 and guest stars my oldest nephew, Mathew, as we attempt to tackle the Gummy Ghost Pepper. n-Somnia's "Harbinger" EP was made available for pre-order. Only one blog entry was made this month. It made it official that Forbes and I were putting our collaboration projects in hiatus mode, due to our inability to get time off work simultaneously as of late. It was very busy for us as individuals this year. I was scheduled to appear as n-Somnia on Pulzar FM's "Grid City Grooves" show to promote the "Harbinger" EP, but had to postpone due to illness. I eventually made the previously mentioned appearance on Pulzar FM, leading to the release of the EP the next day. There were no blogs this month! 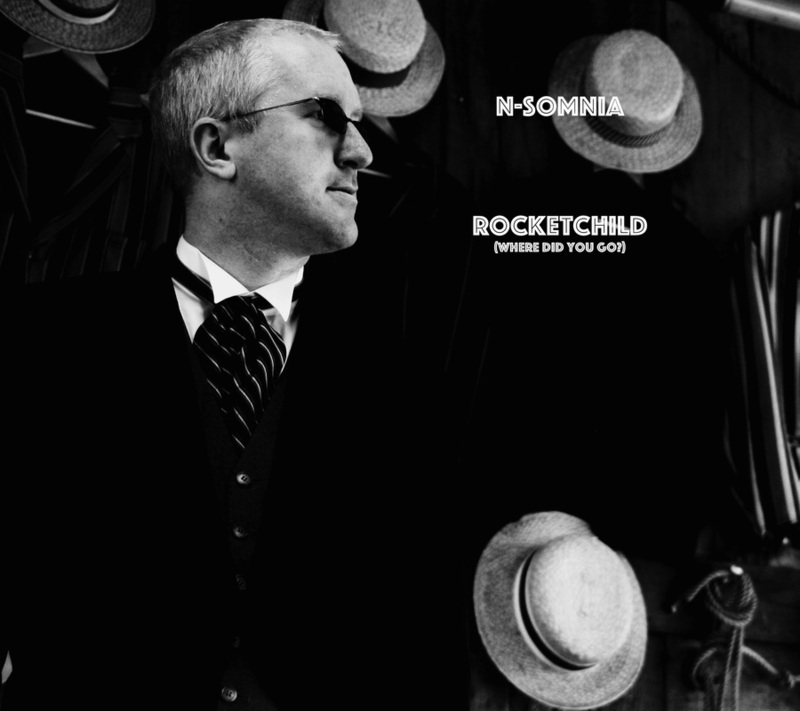 I released what would be the last n-Somnia album ("Singularity" compilation) and single ("Rocketchild (Where Did You Go?)") for a while, as it went into hiatus mode immediately after their release. Forbes makes a surprise comeback in the blogging world with 2 new entries! And there you have it! That was 2015 in the SDP world. Not too much to report, really. We were more active at the beginning, but hopefully that will change in 2016. Hope you all have a safe and happy new year. We'll see you then! n-Somnia - "Singularity" and "Rocketchild (Where Did You Go?" "Singularity" is a compilation that represents the end of an era in my music. 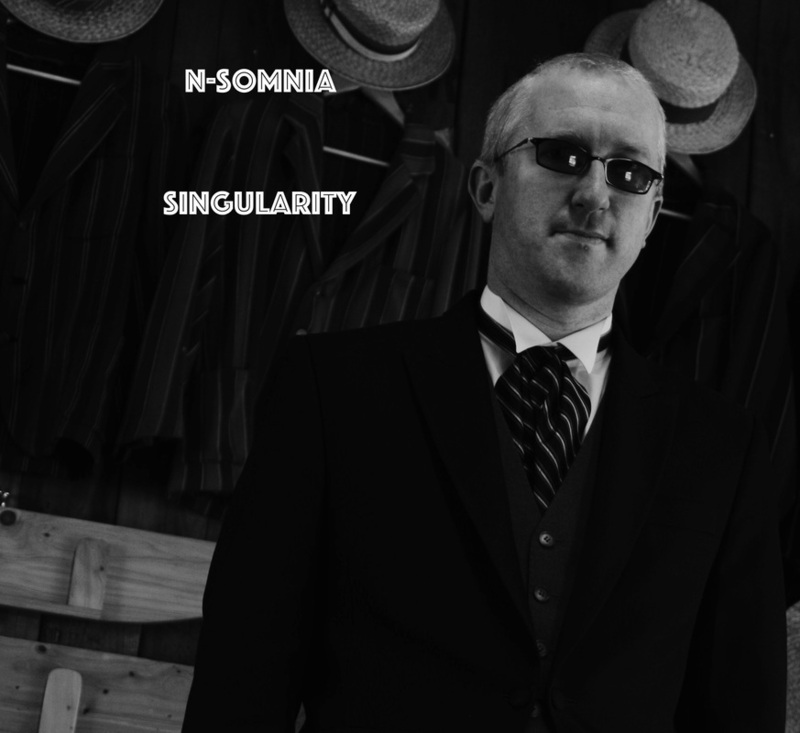 It covers all of the singles and promos I have released as n-Somnia from 2002 to 2015. As always, this time period includes tracks I made as far back as 1999. All of the tracks are in their usual chronological order from the original mix of "Red Alert" to "The Only Race is 'Human'", followed by the compilation's exclusive track, "Rocketchild (Where Did You Go? )", which is also the sole single from this album. This compilation is basically an updated version of 2012's "X - The First Decade", which is why that particular compilation is no longer available. Instead of showcasing 10 years of my promo tracks, this one covers 13. There is another reason the album represents the end of an era. As of now, any future album, single, promo or otherwise, will not have any tracks that have already been released before. In other words, if you're expecting any of my songs from my first release (the "Red Alert" single) up to "Singularity" to be featured on a future compilation or be re-used in a new EP or as a new single's B-side, you won't be finding them. "Singularity" is the last album I will be doing that features any of my music released before 2016. It's time I finished that chapter and turned the page. As for future releases, everything on them will be new and unheard by you, the public. This includes any songs I may have started before now and never finished. These unfinished tracks do still qualify as older tracks, but because you haven't had a chance to hear them yet, I'll let them away with it this time! If they're good enough for the projects I have in mind for the future, they may be on them. If not, they could end up as B-sides for future singles. There are many different options to choose from. We'll see how it goes when the time comes. The single from "Singularity" - "Rocketchild (Where Did You Go?)" - was named after a friend of mine that I used to chat to online. I've never met them before as they're from Northern Ireland. Rocketchild was her username when we first started talking. We chatted regularly from about 2001 to 2003, before we mysteriously lost contact for some reason. To this day, I've been seeking my good friend to have a bit of a catch-up. It's been way too long! So if you're out there, Kerry Carson from Lisburn, Northern Ireland, mother of Nathan Carson, flick a message my way. We have so much to talk about! If you're wondering about the cover art for both the album and single, the photos were taken on the day of my wedding by a professional photographer. If you like what you see, check out Flourish Images. Their photography is awesome! That's pretty much it for now. But just in case you may have forgotten (due to a lack of blog posts - sorry! ), the n-Somnia project will be going into hiatus mode as of right now. "Singularity" is not a farewell release, but a good way to end a chapter in my life. A newer and improved n-Somnia will return in time, but I'm not sure when exactly. In the meantime, I will be focusing on a 5-album project that I've mentioned in the past - The Swede Legacy (or just Swede for short). Here I will be writing and rewriting a bunch of my songs that I wrote (or planned to write) back in high school both with and without Forbes' contribution. It's been well overdue for me to present these songs to the public. So I will be devoting my time towards making that happen. Forbes will help out as often as he possibly can, considering our current hurdles and restrictions, but for most of it, it'll be mainly me. The first album from this upcoming project may take a while to be released, but work towards it should commence in early 2016. Thanks for stopping by once again. If I don't post another blog before then, have a very merry and safe Christmas on behalf of all of the SDP team! P.S. My radio show on Christchurch's Plains FM has one more episode on Boxing Day, so make sure you tune in at 9pm local time on that date! New n-Somnia Compilation & Single! Hi everyone. Long time no see! Sorry it's been so long since my last update, but it's been extremely busy at my end lately. It still is, which is why this message will be short. Just informing you all that a new n-Somnia compilation and single will be out on December 1st! These will be marking an end of an era for the project as I put it into a temporary hiatus. The compilation is basically an updated version of "X - The First Decade", which is why that album in particular is no longer available. Why get half the content when you can grab the whole package? The new compilation is called "Singularity" and contains 27 tracks. One of which is a new and exclusive one! That song is called "Rocketchild (Where Did You Go? )", which is a reference to an old online friend of mine that I lost contact with as far back as 2003. I'm still trying to track them down to this day (Kerry Carson of Lisburn, Northern Ireland, where are you at???). Both releases are available to pre-order on the usual Bandcamp page, linked below. n-Somnia - EP & Single Now Available! Hey folks. The day has finally arrived! "Harbinger" and "The Only Race is 'Human'" are now available to the public. Go nuts! If you tuned in to Pulzar FM last night, I hope you enjoyed the interview. But if you missed it, it will be online soon. Will post the link here when it pops up. In the meantime, check out my new releases! Hello everyone. I can finally give you all the new date for the release of my new n-Somnia EP, "Harbinger", along with the date I go on-air at Pulzar FM to promote it! The interview will take place on 13 September at 5pm on 105.7 FM (Christchurch) or via their website, www.PulzarFM.co.nz. Without a doubt, the show will be made available online after the initial broadcast. "Harbinger" will be played on Pulzar as an exclusive, as it was originally planned, which means the EP itself will be available on the n-Somnia page on Bandcamp.com from 14 September onwards. You can, however, pre-order it today at the link below! I say with regret that due to illness (mine), I won't be able to appear on Pulzar FM this Sunday evening. Until further notice, the interview has been postponed (but not cancelled). This also means that the release date for the "Harbinger" EP will also be delayed. Many apologies, but there wasn't much I could do to avoid the flu this year! Here's to getting back on track a.s.a.p.! P.S. Plains FM shows will not be changed as the shows are pre-recorded anyway. n-Somnia - EP Release Date & Pulzar FM Recap Interview! 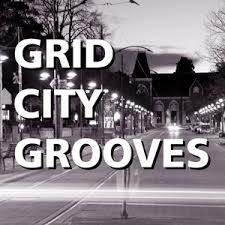 You may remember a little over a year ago, I had an interview on Pulzar FM on the "Grid City Grooves" show, hosted by DJ Seeker. At the end of the show, it was mentioned that after a while, I could go back for a catch-up on what I've been doing since. I can tell you now that the date has been set and I will be appearing on the GCG show on Sunday 23 August from 5-6pm (local time). Make sure you tune in then! As for the EP, it will be released the very next day on Monday 24 August and there's a good reason for this. While I'm doing my recap interview on Pulzar the evening beforehand, the EP will be played in its entirety. You can already pre-order the EP, but you may notice that none of the tracks can be streamed at this time. That's because the Pulzar interview will be its exclusive debut to the online airwaves! After the show has taken place though, the EP will then be made available to the public (but not until the following day). Additional info on the EP - on the n-Somnia discography page (on this website), you will notice there are 6 tracks, but on Bandcamp it shows only 5. This is because there is a hidden bonus track for those who purchase the EP in full...and no, it won't be on Pulzar either. Make sure you pre-order the EP and its accompanying single, "The Only Race is 'Human'" today! Also, if you missed my first appearance on Pulzar FM, you can find the link below with the pre-orders. Hello everyone. It's been a while since the last blog, so I thought it would be best to do another. There's also a few things I'd like to cover anyway. As you should know already, this year hasn't had a lot of new material being produced. This is mainly due to 2 very busy schedules that both Forbes and I have had outside of the website. While doing the website stuff, we are both still working full time away from the computer. This takes up a lot of our time. It doesn't help that our days off work are completely out of sync. When one of us is not working, the other still is, unfortunately. The only times we've been able to catch up in person (not counting one of us passing by during work hours) is if one of us happens to be on leave and is able to catch up on the other's day(s) off. Even then, it can be difficult at times to try and make plans. All of this is why we've been way behind in producing new material in 2015, and is how Forbes and I have come to a mutual agreement that all of our joint projects are to be put on hold until further notice. This hiatus period does not, by any means, hint towards a retirement or split. We are still SDP colleagues as well as great buddies! We will be back in action as a duo as soon as things get under control, especially when it comes to that darn calendar. 1. Ducksel Comedy - This is quite a chunk of our recently active material as it includes many different things, such as writing scripts, making funny videos, and a comedy album that we have only just been able to do a small portion of (as recently as last November). It also includes "The Ducksel Comedy Game Walkthroughs" YouTube series where we give a running commentary of video games we play, which we were planning on reviving sometime soon. 2. Podcasts - After the Christchurch earthquake in 2011 ultimately cancelled "The Ducksel Comedy Podcast", we recently considered starting a new podcast series from scratch this year. I would do a podcast on my own, but it's not as much fun talking by myself for an hour or so (which is why my Plains FM radio show is mainly focused on the music). 1. Music - As mentioned some time ago now, we were planning on working on a 5-album series of music releases based on our first attempt at a band, Swede. The plan was originally to work on the first album until August or September then release it by Christmas, but due to the busy life outside of the Internet, including commitment towards my radio show, there just hasn't been much time to even start. In fact, only a single instrumental demo exists of all the songs reserved for this project. However, the reason it isn't being put on hold completely is because much of this album series will only require my input. Forbes' contribution will mainly be writing and vocal-based and won't take much to do. Once the radio stuff is sorted for the year (which isn't far off from happening, by the way), my full focus will be on making that first album. There is a plan under way for a new website to be created, which will focus on nothing but the stories Forbes has written and will write in the future. With a new site, Forbes will have the freedom to log into it at any time he pleases to post a new story, even if I don't have the time to do it for him myself. This new story website isn't active yet, but in the near future it should be ready for your reading pleasure. It will start off with the stories that are aleady on this website, but once Forbes has something new, I'm sure he'll keep you informed of its arrival! That is all I wish to cover for now. Even though we won't be active for some time, please continue to share the material we have already provided. The more viewers, the merrier. Also in closing, the n-Somnia EP, "Harbinger", is still awaiting its release date. Will let you know of its planned as soon as possible. Believe me when I say there's a reason I'm not just putting it out there just yet. Stay safe and warm. God bless!